Blackheads are black bumps which appear on our skin and are caused due to clogged hair follicles. This makes your appearance look slightly unhealthy. These are also known as mild types of acnes and usually form on the face. Sometimes you might get blackheads on the back, neck, chest, arms and shoulders. Since it affects you on your face more, you should get products to prick them out. In this article, we will go through products which can get you rid of acnes. These vary from blackheads tool, face washes and strips. Choose the type of product that would suit you the best and go about it! Easy to use pure stainless steel blackhead remover which works wonders on blackheads and whiteheads alike to remove the stubborn little enemies on your nose and oily areas of the face. It must be tweezed or plucked carefully post a good exfoliation or facial to open up the clogged pores which will eventually help in softening the blackheads and making it easier to pluck them out softly. You can moisturize your skin after that to ensure flawless finish. Get rid of the ugly patches of blackheads and whiteheads spreading across your gorgeous face with this FOK Combo stainless steel blackhead remover. It is made of pure stainless steel, with precision, lightweight and both ends help in extraction of the blackheads and whiteheads. Squeeze the ends and press the pores to gently remove the blackheads. It works best immediately after shower. Don’t wait for the blackheads to conquer your skin’s surface, get rid of them and bid them an early farewell by using the pointed sharp edges of the Eazyshoppe Stainless steel blackhead remover. Heading to the happening social gathering and wondering what to put on? Get those blackheads out first using this effective tool which will instantly make you look fab from drab. 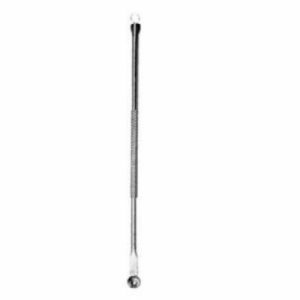 Ain’t no amazing tool like this one, killing the irritating pimples and blackheads using one needle! Doesn’t that sound awesome, not a dream anymore ladies. Get your hands on this magical tool and put forward a pretty damsel face sans pimples or blackheads or whiteheads. The stainless steel formula with lightweight brilliance will make it all worthwhile. This Korean advanced technology laden nose strip is all you need to flaunt a flawless fair skin. Apply the contoured nose strip gently after washing your face and dry pat the strip. Remove it gently and you shall witness all the dirt, clogged pores, grease and impurities sticked on the strip. It is an effective method of removing blackheads and whiteheads from the nose area. Enriched with the goodness of 100% natural ingredients, St. Ives Blackheads clearing green tea scrub is a must-have product to help enhance a gorgeous skin. Put forward a charming skin forward with the added green tea loaded vitamins to help purify the skin from within. 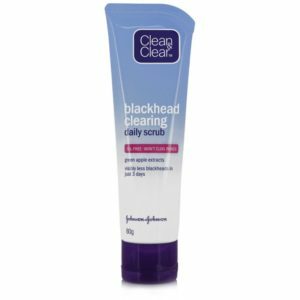 This is the most popular scrub for women who have a major problem of recurring blackheads and whiteheads on their skin. Achieve a clear and clean skin with Himalaya’s walnut scrub that will exfoliate your skin’s surface to activate the clogged pores and remove the dead skin cells. It gently removes the layer of dead skin thereby getting rid of blackheads and whiteheads. Use this absolutely aromatic strawberry flavoured Lakme blush and glow scrub to get rid of the blackheads and whiteheads. This will remove the dead skin cells, thereby improving the texture and enhance elasticity of your skin. You can use it twice a week for effective results, The blend of fruits and essential oils will surely give a youthful bubbly appearance to your look. Immerse in the beauty of enchanting skin with the Lotus Apricot facial scrub which will eventually reduce the formation of blackheads and whiteheads on your skin. It removes and wipes away the oil, grease and dirt from the top layer of epidermis by gently exfoliating the effective apricot’s essential goodness. Rekindle romance with yourself and fall in love with the finesse skin texture and add a youthful glow with Aroma Magic by Blossom Kochhar. This natural therapy to remove the dead skin cells alongwith the blackheads and whiteheads further promote healthy glowing skin by reducing the fine wrinkles, ageing signs and creases caused by excessive chemicals and age of course. It also improves the skin’s texture and works wonders for tanned and pigmented areas too. Take care of your skin’s softness and maintain its flawlessness by regularly scrubbing off the dead skin layer. Using this natural formulated concoction will gradually help in getting rid of the blackheads and whiteheads from your skin. Cleanse and nourish your skin with this wonderful scrub to get a beautiful skin. This is another blackhead remover which is termed to be a professional tool for blackheads, clogged pores, pimples, etc. This is very easy to use and is effective too. The product has been designed for proper grip and hold and lasts pretty long too. Use the circular side to surround blackheads and press them for extraction. If you want improved results, clean your face with a cleanser or scrub and then use the steel. This will help open pores well and boost the blackhead removal process. When you put less pressure on skin, it has fewer chances to scar. 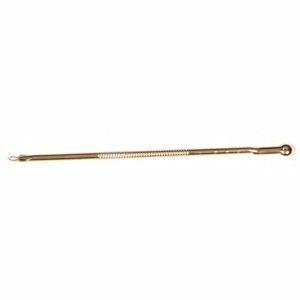 This is another blackhead remover which is safe and can be used in the most ideally expected way. This removes the blackhead without damaging skin. At first have your skin cleansed, and then extract the blackheads. This will avoid infections and have your pores opened. This product comes in a liquid gel form. The membrane provided is thick for the nose and can be used 2 to 3 times. It is pretty cost effective and helps you remove all the blackheads within less time! This works efficiently and makes the size of the pores small. It doesn’t let them come out significantly and you are less with no scars! These are blackhead strips which you stop you from frowning at your face! This is an easy remedy for eradicating the blackheads. 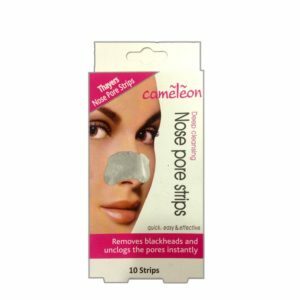 The nose pore strips comes with tea tree leaf oil and they work on your skin instantly. They remove the dark circles within less time and make your skin clearer. With regular use of nose strips you tend to taut the pores and make you look fresh and vibrant. You don’t have to get to the parlor or poke out the blackheads! 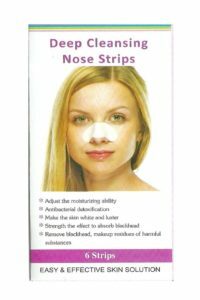 These deep nose strips have been specially designed for blackhead removal and clogged pores. The strip helps you take out the dirt around the nose area and it has been designed to clear them out at once! This goes into the difficult parts which are tough to clear. Once you remove the strip you will see improvement. Keep using it regularly so that you can have clear skin at all times! This is a face wash which has been tested by dermatologists. It is known to slowly exfoliate your skin to remove the stubborn blackheads. These also prevent you from new ones to come. This also washes off the dead skin cells and calms the skin come. You also make your skin look fresh and healthier! This black has always been known for solving facial problems. Try this out and get long lasting results. It is special scrub which has been made with jojoba extracts and it helps reduce excess oil. This comes with an Active Break Up complex which starts removing blackheads from the very first appliance. At first, take a warm water bath to make your pores open. Use this product to remove the blackheads after the bath. This product comes with an angled loop which rolls out the pores for removing whiteheads and the flat side is pressed to take out the blackheads. This way the skin isn’t damaged. This also comes with a texture ‘no-slip’ design, so you can have full control on it. Use the product to clean your face well and then and then wash the tool.